Everyone I came in contact with was awesome. Brad was great and never pushed Joyce was also great and very helpful with the paperwork. Josey was really great teaching me how to use my new truck. One thing that set this dealership apart is, I was not crowded with sales associates as soon as stepped foot on the dealership’s car lot. The service was good and Sasha was very helpful. I would recommend them to anyone. Thanks guys and gals for the great work and friendliness. Hard to find these days. Best Dodge service and dealership experience I have EVER had! Your more than a customer to them and they will make it a point not to pressure you or treat you as anything less than a friend. Jace was a great person to deal with. He assisted and kept me up to date on my Rubicon order. Kyle (sales manager) was straight forward. I told them what I wanted and they made it happen and gave me the best price by far out of about 8 dealerships. 3 week turnaround on order. Highly recommended and Jace knows his Jeeps. Very professional and friendly staff was very informative about information on my vehicle and exactly what was needed to fix it and have it in good running condition. This dealership was willing to work with us to get the car we wanted! Staff was knowledgeable and friendly! Highly recommend giving them a try if you are looking! Awsome small town dealer. Drove from Huntsville for a great NO HASSLE DEAL. Highly recommend.. Stay away from Huntsville Chrysler Ram Jeep dealer. Sharks. 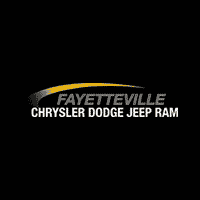 Fayetteville Chrysler Dodge Jeep Ram	35.151310, -86.570732.